Do you struggle to find tasty, healthy vegetarian foods to feed your family? I don’t eat fish, my kids have food allergies, and my husband complains that my blah tuna noodle isn’t as good as his mom’s. After years of starving every Friday during Lent and scrambling to find easy meals for Meatless Monday recipes, I finally decided to branch out and try some new dishes. 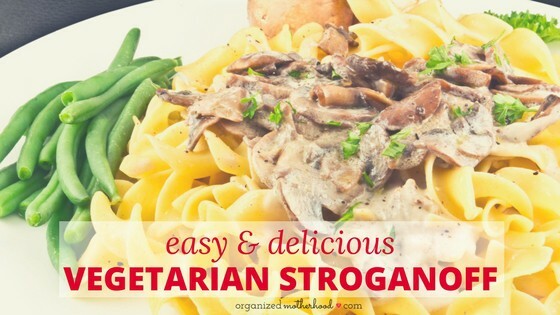 This vegetarian stroganoff (it’s vegan if you use Campbell’s Golden Mushroom soup) is delicious and easy to make – perfect for a quick Lenten supper. The original recipe called for yogurt, but I substituted a can of golden mushroom soup with great results. You could also substitute marsala wine for the white wine. Heat the vegetable oil in a non-stick frying pan and saute the onion until almost cooked. Add the garlic and stir for a few minutes. 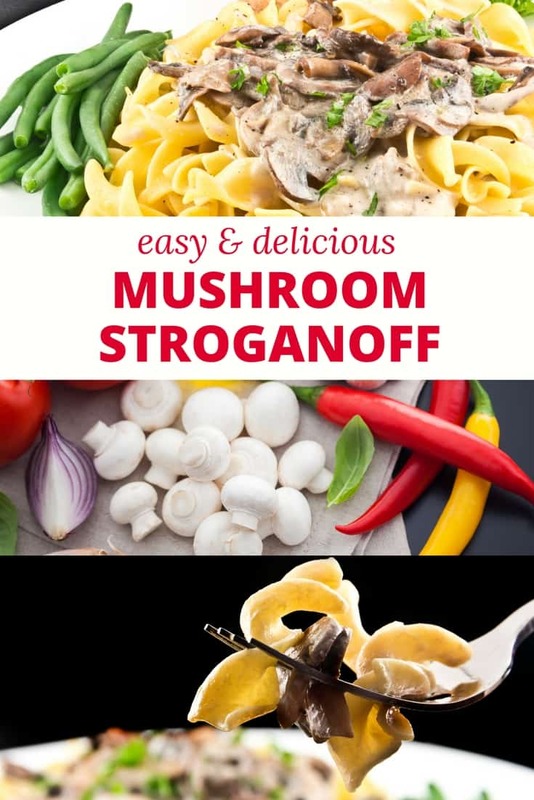 Increase the heat and add the mushrooms. Season with salt and pepper, as well as sprinkle with paprika. Saute until the mushrooms are tender and brown. Pour on the wine and vinegar. Stir well. Reduce the heat and allow to simmer for a few minutes. Stir in the golden mushroom soup and cilantro. Serve with mashed potatoes or egg-free noodles and steamed broccoli.